1 edition of The war found in the catalog. Add another edition? Are you sure you want to remove The war from your list? Published 1855 by George Routledge & Co. in London . v. 1. 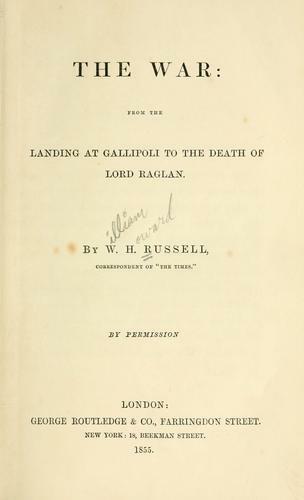 Landing at Gallipoli to the death of Lord Raglan. v. 2. 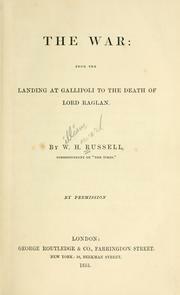 From the death of Lord Raglan to the evacuation of the Crimea. September 8, 2008 Created by ImportBot Initial record created, from warrussell01russ MARC record.